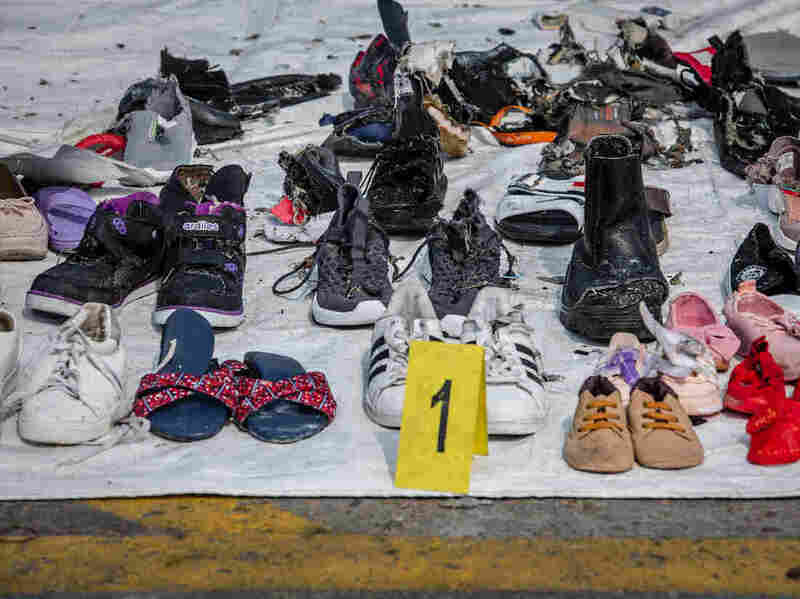 Personal items recovered from Lion Air flight JT610 by search-and-rescue personnel at the Tanjung Priok port on Wednesday in Jakarta. Divers have located a "black box" from Lion Air flight JT610, which crashed into the Java Sea earlier this week with 189 people aboard, offering a critical piece of evidence in the investigation into what caused the disaster. Search-and-rescue officials first heard a "ping" believed to be emitted by one of the black boxes on Wednesday, two days after the Boeing 737 Max 8 went down. "One TV station showed footage of two divers after they surfaced, swimming to an inflatable vessel and placing the bright orange device into a large container that was transferred to a search-and-rescue ship.
" 'I was desperate because the current below was strong but I am confident of the tools given to me,' said navy 1st Sgt. Hendra, who uses a single name, in a television interview. After narrowing the possible location, 'I started digging and cleaning the debris unt il I finally found an orange object,' he said, standing on the deck of a ship next to his diving mate." The device is the flight data recorder, according to Transport Minister Budi Karya Sumadi. It will reportedly be examined by the National Transportation Safety Committee. The search for the cockpit voice recorder continues. The data recorder may help explain why the 737, which had only been in service since August, crashed into the sea just 13 minutes after takeoff. "Investigators say a preliminary report into the accident could be released within a month but complete findings will take several months more," the AP reports. The data recorder was reportedly found in nearly 100 feet of water about 1,600 feet from where the jet lost contact. As NPR reported earlier this week, "Data from the flight tracking website FlightRadar24 shows the jet flew irregularly the day before the crash, with abnormal drops in altitude and speed just a few minutes after takeoff." The search has been aided by 40 ships from the National Search and Rescue Agency, Ministry of Transportation, customs and other agencies, according to the National Search and Rescue Agency. On Wednesday, the agency said it found the remains of at least 48 people who were aboard the plane.